Join us for the annual Reservation Roundup Picnic! 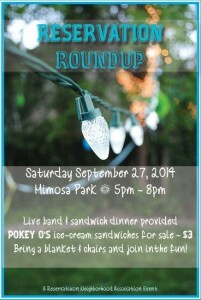 Sandwich dinner and live band provided. Bring chairs and a blanket! Mohawk New Construction Open House!